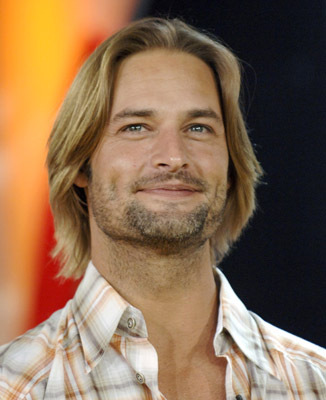 "LOST" Star Josh Holloway Joins the Cast of "M:I-4"
Yesterday The Hollywood Reporter broke a story about LOST star Josh Holloway (Sawyer/James Ford) joining the promising cast of Mission: Impossible 4. LOST co-creator J.J. Abrams (who directed the third installment of the big-screen Mission: Impossible franchise) is set to produce M:I-4 along side Tom Cruise and Paula Wagner with Pixar’s Incredibles director Brad Bird set to direct. Cruise will reprise his role as secret agent Ethan Hunt, but rumors claim that the film may take an unexpected turn and focus on a new character. We shall see. Ving Rhames (Pulp Fiction) and Simon Pegg (Hot Fuzz) are set to return as their previous characters while Jeremy Renner (the “wildcard” in The Hurt Locker and The Town) and Paula Patton (the inspiring lesbian teacher in Precious) will be new to it. It is not yet known if Maggie Q (Live Free or Die Hard) and Jonathan Rhys Meyers (From Paris with Love) will return. Although the first Mission: Impossible film bastardized one of the TV series’ fan-favorite characters, not being familiar with original series, I could focus on the film and enjoy it. The worst thing they could have done to the franchise is hire action director John Woo (Face/Off) for M:I-2 – which resulted in all fizzle, no sizzle. Absolutely ridiculous. Considering how many people were turned off by M:I-2, it was a surprise to see Abrams completely revive it with M:I-3 – easily the best of the series. It is because of Abrams’ involvement and my man-crush on Josh “Sawyer” Holloway that I look forward to and fear nothing with M:I-4. The question is whether Holloway will don his southern accent, long hair and 5 o’clock shadow or not. I hope he keeps them. That is my take on it. What’s yours?